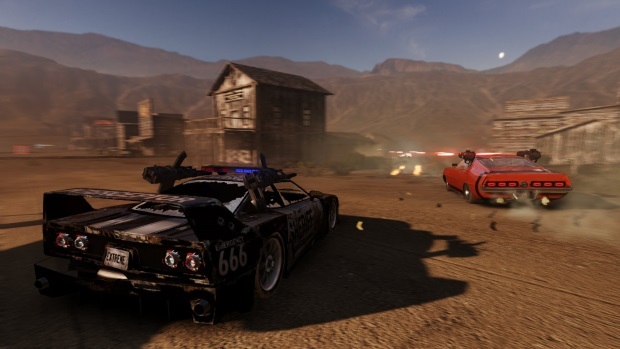 Iceberg Interactive announced today that Gas Guzzlers Extreme, the fast, furious, trigger-happy, metal-tearing, rubber-burning, sparkplug-breaking and engrossing multiplayer combat racing game for PC that shipped last summer, has two new DLC packs coming soon to Steam – Full Metal Frenzy and Full Metal Zombie. Gas Guzzlers Extreme is available for PC and Mac on Steam with a Linux version currently in development. 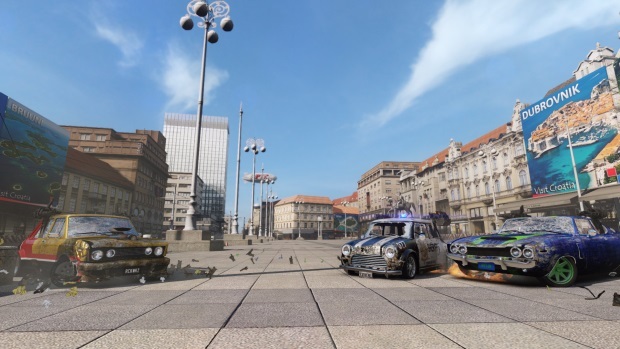 The first Gas Guzzlers Extreme DLC pack, Full Metal Frenzy, will debut on Steam next week and features two new race arenas, three new game modes, a female announcer, and many more new additions. The second DLC, Full Metal Zombie, will launch summer 2014, complete with nine different types of zombies and a thrilling new game mode Defend the Base.